The ideal decorative wall sticker for avid cyclists! Share your love for the sport with visitors to your home with this funny wall vinyl! 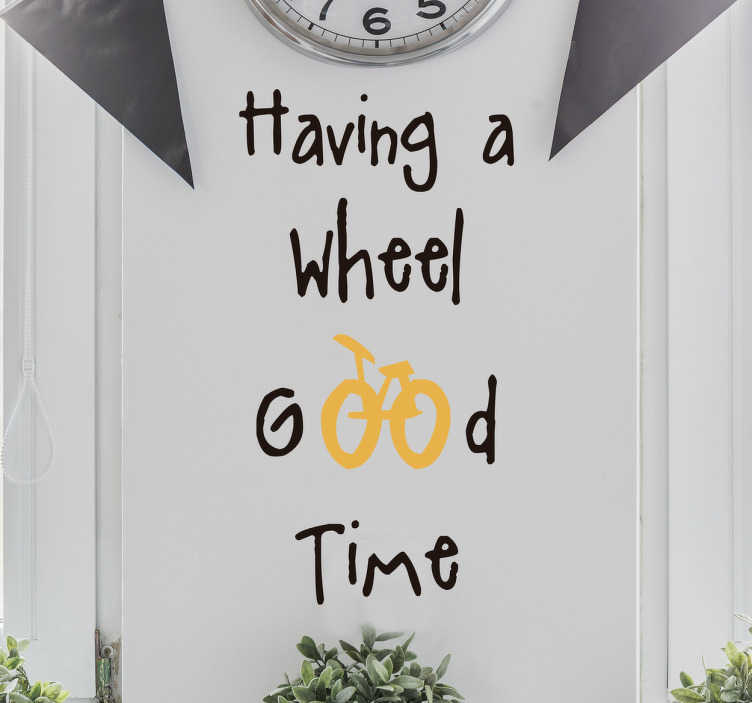 A slogan decal featuring the text "Having a wheel good time" with the two o's part of a bicycle, this decal would be ideal for anywhere in the home including hallways, living rooms and even in the bike shed! Give your living space a personalised humorous touch with the sport you love! Available in a variety of different sizes!